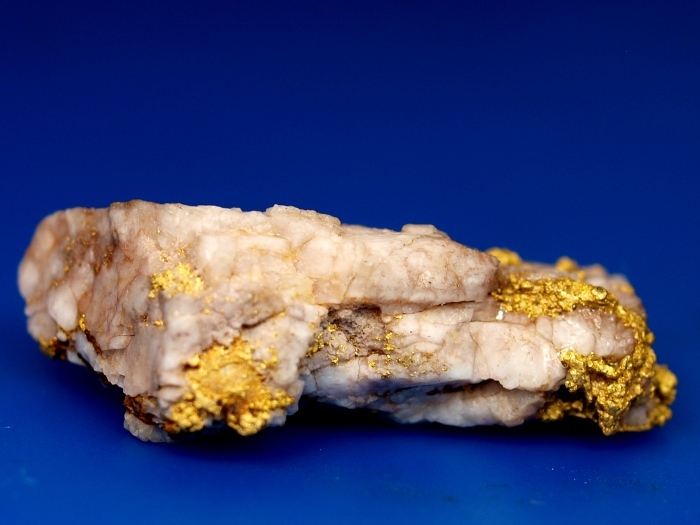 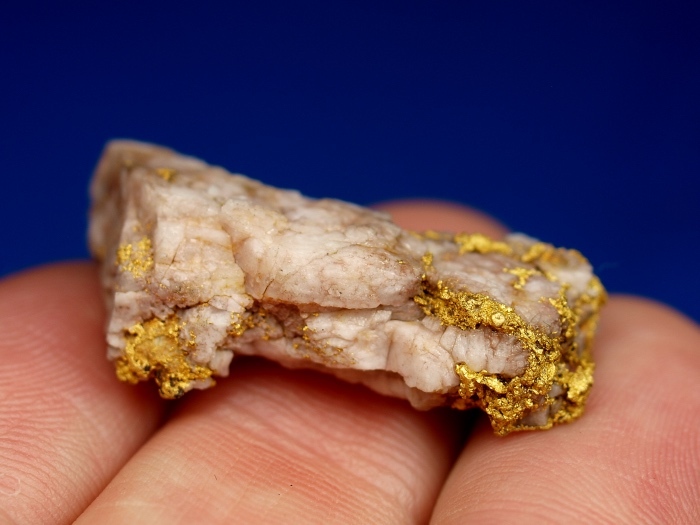 Here's a lovely piece of raw gold in quartz found in Siskiyou County, California. 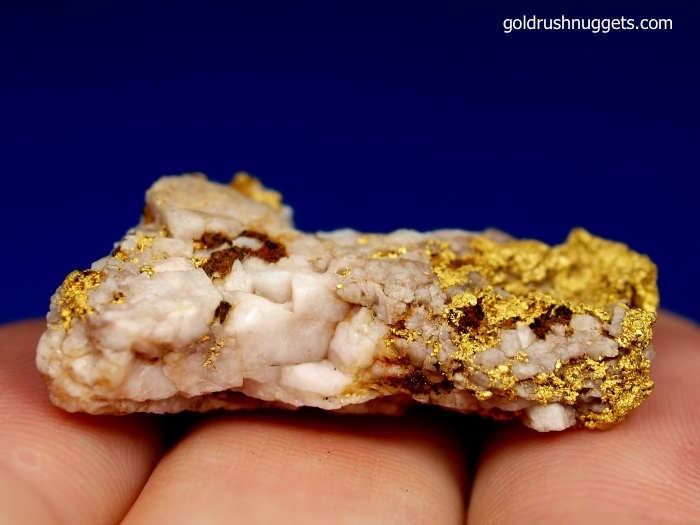 This piece was found right at the source along with several other nice pieces of high grade specimen gold. 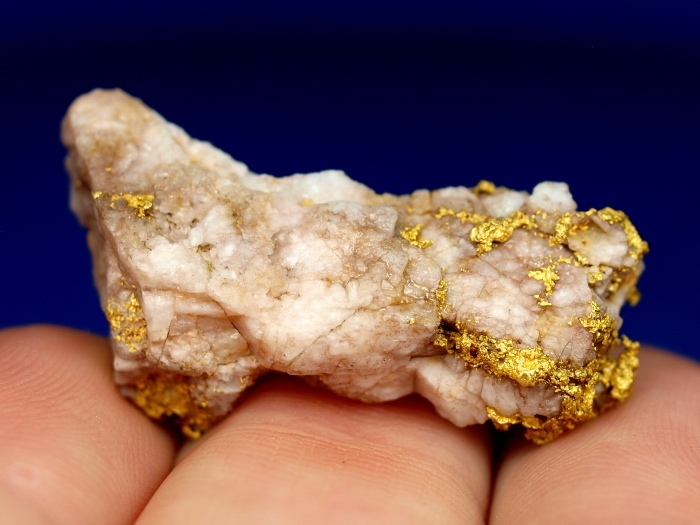 It has a lovely contrast of white quartz with the gold. 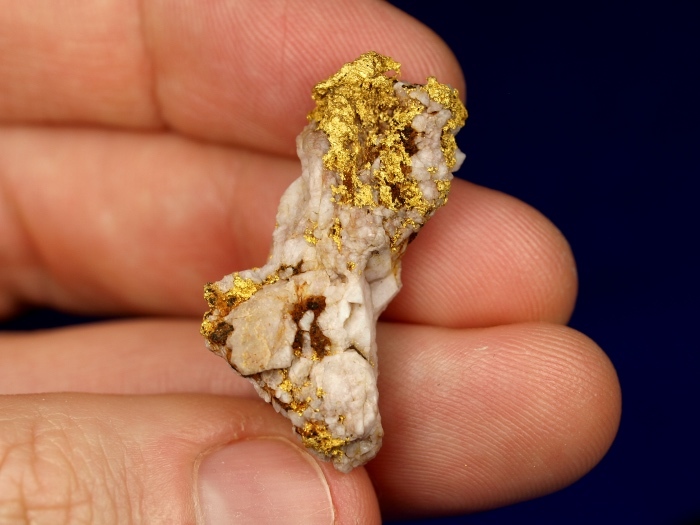 It measures over 1" long and has a total weight of 8.25 grams. 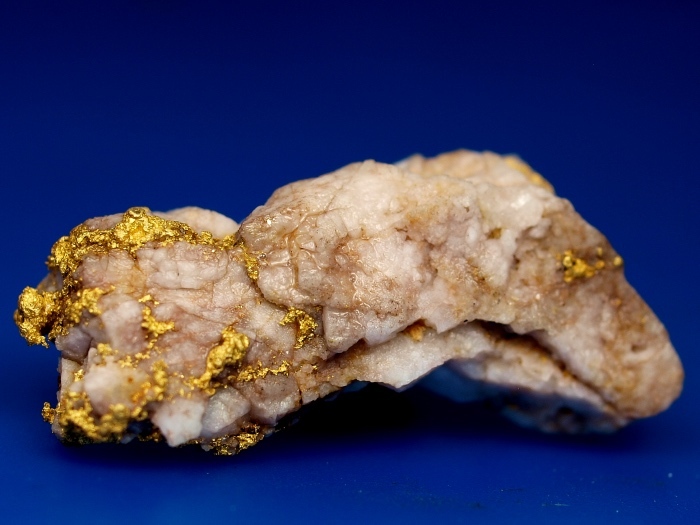 A fine addition to any serious mineral collection.